Atopos cvc has the pleasure to inform you about Craig Green’s current installation at the Dover Street Market in Ginza, Tokyo. 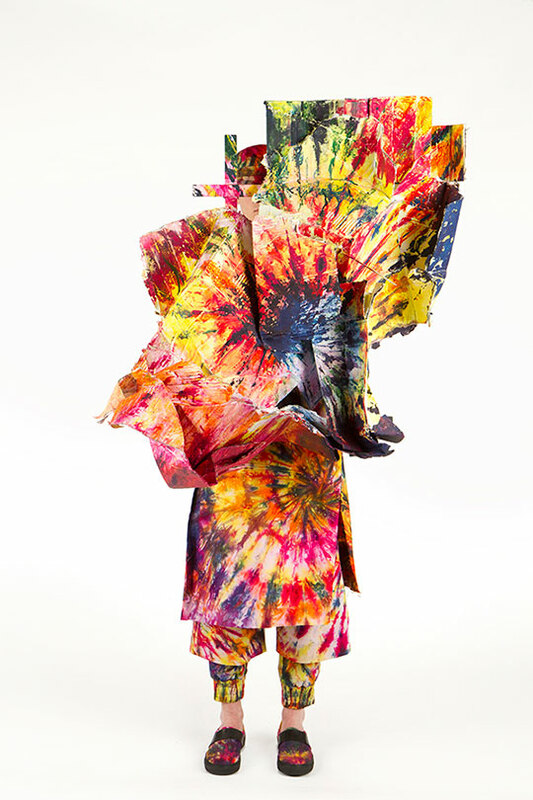 The installation included Craig Green’s SS14 tie-dye sculptures that are part of the Atopos Collection. The two sculptures were acquired by Atopos cvc as part of the ongoing ‘Mon Petit Chou’ project. With this project, Atopos cvc aimed to observe and assist in a supportive and collaborative way the progress of a young artist from the beginning of their career. In return, the artist provided Atopos with pieces from their work which then became part of the Atopos collection. ‘Mon Petit Chou’ was launched with London-based, menswear designer Craig Green. Since then and through various collaborations, Atopos has acted as Craig’s sponsor for all his catwalk shows for London Collections: Men.